InterfaceFLOR is a worldwide leader in the design of innovative modular flooring and a recognized environmental pioneer. The company is well known for its sustainable efforts in carpet recycling, closed loop manufacturing system and “Mission Zero” goal. There wasn’t much impact in the mid-nineties when InterfaceFLOR publicly committed to sustainability by pledging to eliminate its impact on the environment by 2020. Other players in the industry thought it’s just another CSR effort for sheer publicity. But today to their surprise these sustainability efforts are totally incorporated in the company’s DNA. Its products have also received several awards, specifically for design and innovation. Some of the recent awards are Guardian Sustainable Business Award for Waste & Recycling 2011 and The Environment Agency Sustainable Pioneer Awards 2010. It all started in 2000 when InterfaceFLOR used “Life cycle assessment” to study the environmental foot prints of its products. 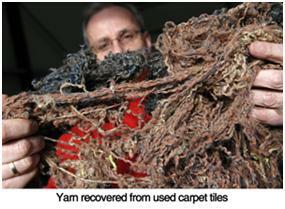 They found out that around 50% of its carpet’s environmental foot print is due to the usage of virgin oil rich yarn. Since then they started working on finding new recycling processes which will help them in reducing the usage of virgin yarn. In carpet production, the petrochemical nylon6 is the face fiber which after the usage can be either recycled to caprolactam or can be down cycled to automobile parts and other plastic items. Caprolactam, the feedstock got after recycling nylon6 can be again used for producing nylon6 thus closing the loop and preventing the further usage of virgin yarn. 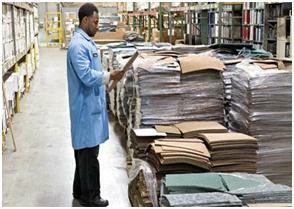 Thus the quality of the recycling processes determines how much of it can be recycled and down cycled. The processes used so far were able to help them to involve only 40% of the recycled yarn in their total production plan. Though it is far better than what they were in 1996 in recycling, still their single goal was to close the manufacturing loop by using 100% recycled yarn. To attain this they not only motivated their internal teams but also invited their suppliers and vendors to create a better tomorrow together. In 2010 interfaceFLOR came up with a state of art recycling process technology called ReEntry 2.0, which enables significant and scalable recycling of carpet tiles, representing a breakthrough in the closed-loop manufacturing system. It uses a highly efficient technology that separates yarn and other materials from used carpet tiles, so that they can be recycled into yarn for new carpet tiles. The process ensures that every single component of the carpet tile retains its material value, allowing it to be re-used as new raw material for new carpets. ReEntry 2.0 is expected to divert around 2,700 tonnes of oil-intensive material annually from disposal and also Life cycle assessment shows that the materials recycled through ReEntry 2.0 require four times less energy to process than the equivalent virgin materials for carpets. Recently in 2011, through the ReEntry 2.0 process, they have introduced a carpet collection called Biosfera I, which is first in the industry to include 100% recycled yarn. Biosfera I consists of 30% post consumer recycled raw materials from a variety of sources including reclaimed commercial fishing nets and yarn from used carpet tiles. The backing material is taken from InterfaceFLOR’s own products. Thus InterfaceFLOR has set an example in their sustainability efforts for everyone in the industry to follow. In the beginning there was a myth that it is impossible to recycle nylon yarn, an oil-rich material that is integral in carpet tile manufacturing but interfaceFLOR has dispelled this myth. Biosfera I is a result of its focused, collaborative work and the product has unprecedented environmental qualities throughout its entire lifecycle, right from the sourcing of materials, through to production, installation and till disposal. InterfaceFLOR has strategically spread up production capacities in different countries based on the demand in the corresponding regions. But they have recycling facilities in some European countries and United States alone. They have good supply chain reverse logistics in those countries to support the collection of used carpet tiles. Now they are planning to start recycling capacities in other countries as well. 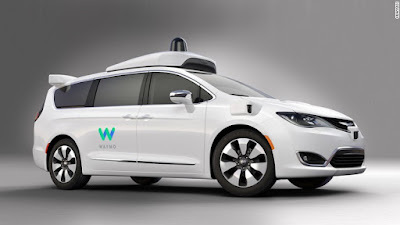 Their next goal is “Mission Zero” targeted for the year 2020 which will eliminate the carbon footprint by the company in all aspects completely. Thus InterfaceFLOR is a role model for all the companies who want to have sustainable growth without affecting the environment.